1. 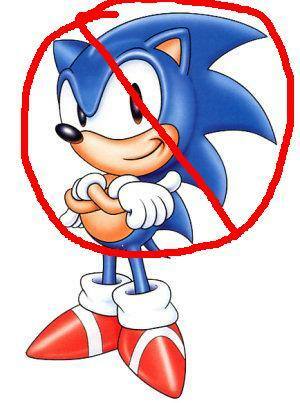 Do hedgehogs look like Sonic? 2. Are they blue like Sonic? 3. If I buy one from you, can I name it Sonic? If I find out you have, I will come and take it back. 4. What about Prickles, Pokey, Spike, or Quilly McQuillersons? 5. Do they shoot their quills like porcupines? No, and neither do porcupines. 6. Are they related to porcupines? No, they are related to moles and shrews. 7. How long will the wait be if I put my name on the waiting list? This question is impossible to answer. If I have 10 names on the list, and my females give me 10 babies, everyone is happy. The wait will be short. If I have 30 names, and my mamas only give me three babies, guess what? The wait will be longer. I don't have a Magic Hedgehog Machine, I have animals. They make as many babies as God lets them make, and it's not up to me how many that is. You need to have some patience and understand that there will be a bare minimum of several weeks between the time when you find me and contact me and the time when you get a hedgehog, and that it's more likely to be several months, and that there is absolutely nothing I can do to make the wait shorter. 8. OK, but can you at least tell me how many names there are ahead of mine on the waiting list? No, I can't, because I don't know for sure. Yes, I can count, but people drop off the list all the time. They change their minds and decide to get a mongoose or something instead. They run out of money. They buy a hedgehog somewhere else. All of those are perfectly legitimate reasons not to buy a hedgehog from me, but Heaven forbid anyone should let me know so I can take them off my list. I have no idea how many people are going to drop off, which is why I say I don't know how many names are actually on the list. Whatever number you are on the list today, you won't be that number tomorrow. It doesn't help you even a little bit to know what number you are. So please don't ask me. I'm never going to tell. 9. What if I can't care for my hedgehog later on after I've had him for a while? I ask that you contact me immediately if you find that you can't keep your pet any longer, at any time. We can't offer a refund, but we will take the hedgie back and help to find it a new home. 10. Will my hedgehog do tricks? Sure! He'll sing ragtime and dance a soft shoe, but only when the bartender's back is turned. 11. Will he get along with cats and dogs? He won't really care one way or the other, unless your cat or dog tries to take a taste of him. I guarantee you they will only try that once, twice if they're extra-stupid. 12. I really want a male cinnacot snowflake pinto with a dark mask and a long face and a cream-colored belly. How long until you have one like that? Probably never. We have live animals, not Mister Potato Hedgies. We can't mix and match parts, and again, like I said above, we get what God gives us. If you're that fussy, you're probably never going to find a hedgehog that matches your exacting demands, and I'm totally not inclined to even try. The above request - which is not very far off from actual ones I have received - would be answered with, I'll let you know the next time I have a cinnamon or a snowflake. That's it. If that's not fancy enough for you, there's not a lot I can do for you. 13. I only want a male, because I don't want to deal with an animal that menstruates. You'd never know whether a hedgehog is menstruating or not. This is not a legitimate reason to restrict your choices. 14. I only want a female, because I don't like to look at animals' testicles. You can't see a male hedgehog's testicles at all. This is also a bad reason to limit yourself. The above two things have actually been said to me by customers. I hesitate to mock them, because I suppose they're really things those people were concerned about, but in my opinion, they're pretty silly. There are other issues going on than just not wanting to see or deal with a pet's reproductive functions. Get over it. They're little animals. They aren't going to expose themselves to your kids. If you truly can't deal with "those parts," don't have pets.